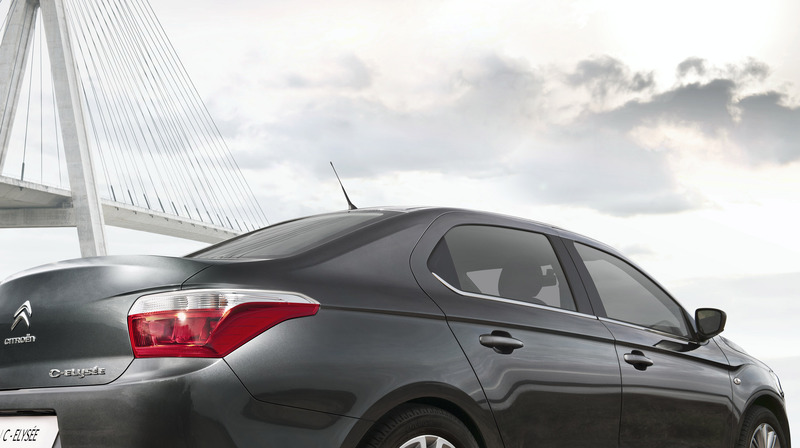 The Citroën C-Elysée reaps the full benefits of Citroën expertise in technology and design. Its styling and features deliver a specific response to the needs of customers looking for an attractive, affordable saloon. Scheduled for launch at end-2012, it demonstrates brand expertise in running gear, quality and technology, as illustrated by the new VTi 72 engine, designed for performance, fuel efficiency and durability. The Citroën C-Elysée was designed first and foremost to meet the needs of international markets. The designers of the Citroën C-Elysée started off with a blank sheet. From the first stroke of the pencil, the aim was to showcase the three-box body style. The result is both attractive and well balanced. The front end immediately identifies the vehicle as a member of the brand family, with a large chrome signature emphasizing the enveloping, ribbed bonnet. The bodywork is both harmonious and eye-catching, conveying a robust sense of presence with a high waistline, wide tracks and strongly curving wings. The Citroën C-Elysée ships in a choice of seven body colours, with chrome detailing depending on the level of trim. Inside the car, the elegant, robust design is also perceptible to passengers. The executive-style dashboard features a trim strip in front of the front passenger, according to trim. All materials were selected to be not only attractive, but also robust and easy to care for. reinforced body part design with the use of positive attachments (screws). All these adjustments ensure the durability of the Citroën C-Elysée, designed in France and produced at Vigo in Spain. As further proof, it has been tested over more than four million kilometres around the world, in all driving conditions (cold, dust, tracks, etc.). 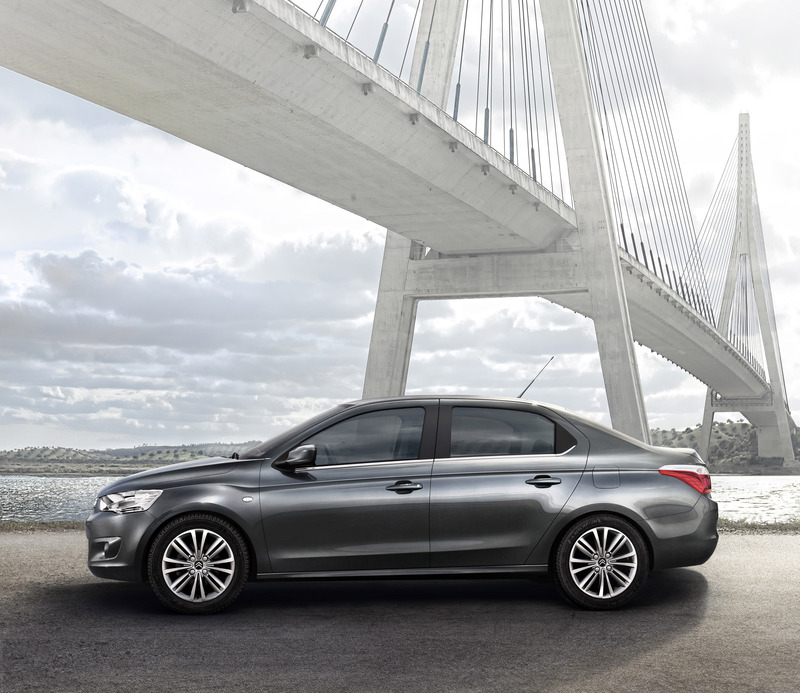 The Citroën C-Elysée reaps the full benefits of brand expertise, particularly in terms of road feel. Wide tracks and specially designed running gear are combined with electric power steering that is both informative and precise at all vehicle speeds, to ensure strong roadholding and safety for all passengers, even in the most difficult conditions. Depending on the country, it may also be fitted, as standard or optional with ABS and ESP, for example, or up to four airbags. 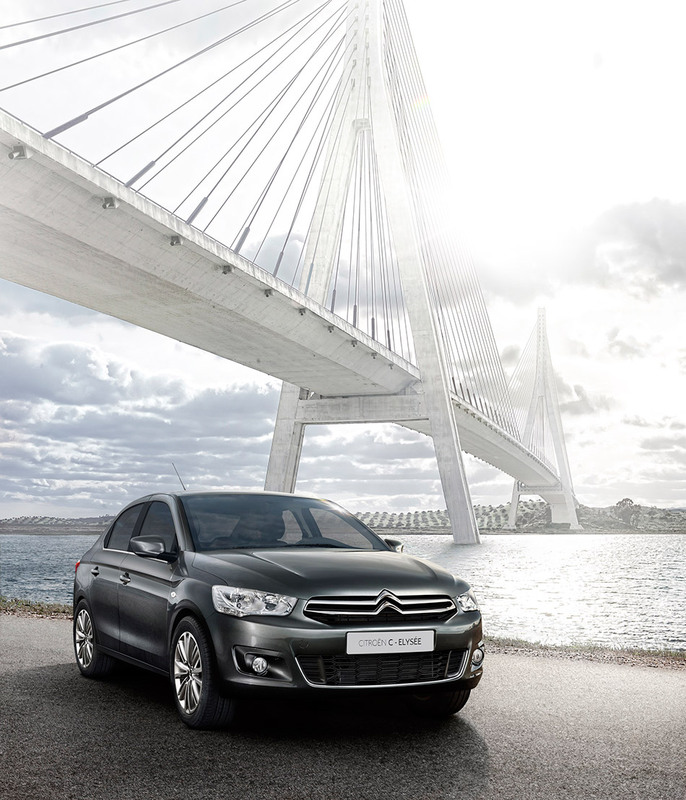 Easy to drive, the Citroën C-Elysée also illustrates brand expertise in terms of comfort and suspension, conveying a sense of well-being and real driving pleasure even in the most extreme conditions. The Citroën C-Elysée is a vehicle of generous exterior dimensions: 4.43 m long, 1.7 m wide and 1.47 m tall. The 2.65 m wheelbase is the longest in its category. It delivers not only an impeccable ride but also, above all, exceptional space. The interior roominess is worthy of saloons in the next category up, with best-in-class space in the back seats. The leg room available to passengers at the rear is remarkable in terms of both width and length (knee room of 120 mm). The spacious design of the cabin has no impact on boot space. With a capacity of 506 litres VDA, the boot is one of the most biggest in the category. 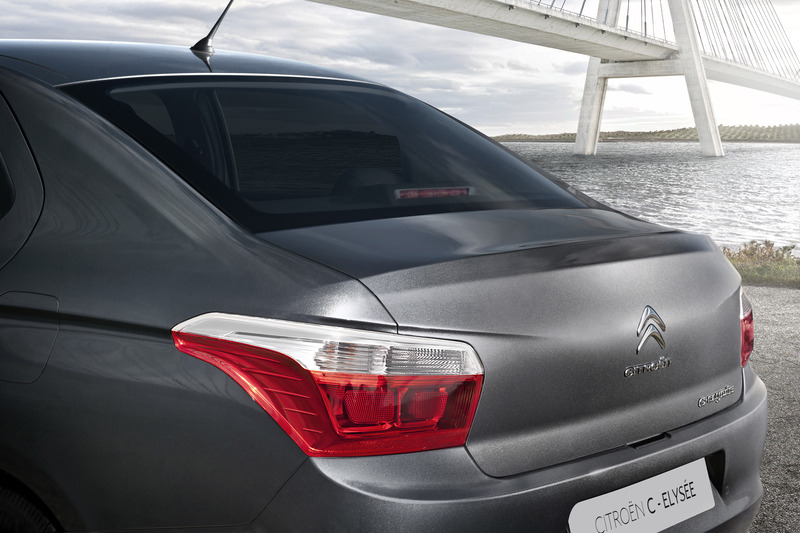 With these features, the Citroën C-Elysée is fully suited to its role as the main family car. Alongside a design optimised in terms of space and dimensions, the Citroën C-Elysée is available with a range of modern, intuitive comfort equipment, standard or optional depending on the country. Features include air conditioning with a digital display, rear parking sensors, a cruise-control/speed limiter function, and an mp3 car radio with a Bluetooth hands-free kit. It can also be fitted with high-tech equipment geared to the specific requirements of the countries of sale, such as a heated windscreen for Russia and Ukraine. For hot countries, particular attention was paid to the air conditioning, which includes a "Max" function for fast cooling. This high-tech offering will be further expanded in the coming months with a touch-screen GPS, reversing camera, and hands-free access and start-up. A wide range of accessories enables customers to personalise the vehicle exterior with elegant chrome detailing (fog light trim, rearview mirror housings, tail pipe), and to protect the bodywork (transparent bumper protection strips, side mouldings) and interior (wide choice of boot mats or boxes) as well as to increase the loading volume (roof bars, roof basket). In terms of multimedia systems, semi-integrated navigation systems (with no apparent suction pads or cables) provide efficient guidance, while the O'car radio, an innovative solution dedicated to iPhone, lets users talk or listen to music in complete safety while recharging their smartphones. The Citroën C-Elysée ships with the new VTi 72 petrol engine, specially tailored to driving conditions and fuel in international markets. The new-generation powerplant was developed to optimise performance (72 bhp, torque of 110 Nm from 3,000 rpm), fuel consumption (from 5 l/100 km and 115 g/km of CO2, a 22% improvement on the 1.4i engine replaced) and durability, even in severe operating conditions. It can be mated to a five-speed manual or automated gearbox. The new VTi 115 engine, combined with a manual or automatic gearbox, rounds out the petrol range. The Citroën C-Elysée also ships with the HDi 92, a proven diesel engine already produced in more than six million units and combining road car capacity (high torque at low engine speeds) with limited fuel consumption (4.1 l/100 km and 108 g/km of CO2). 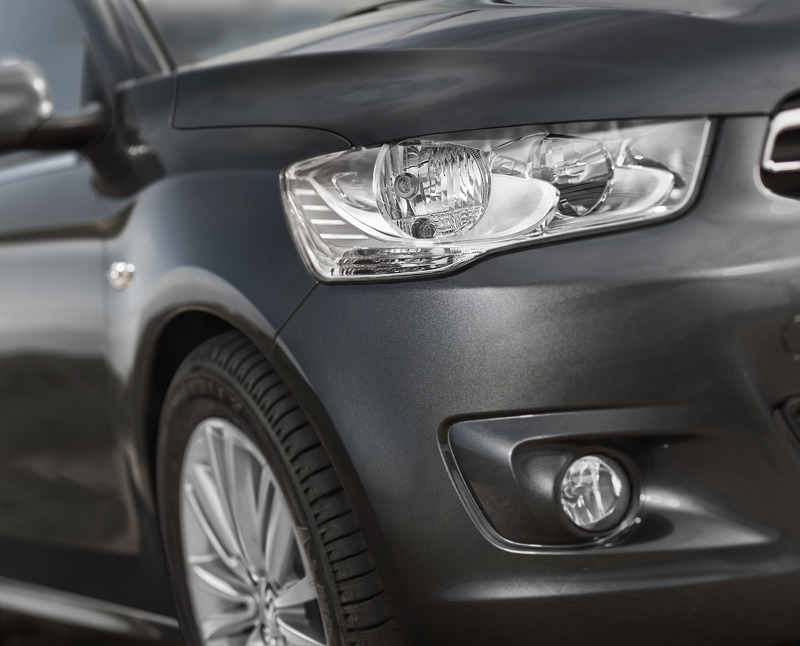 For the target customer base, a car is a major investment. Customers are demanding in all areas, including price tags and running costs. 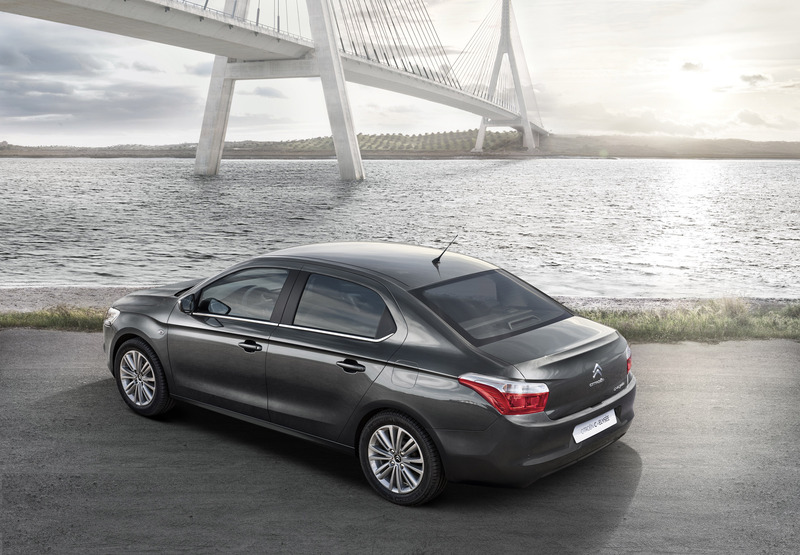 The Citroën C-Elysée combines attractive pricing, tailored to each market, with the functions and quality of all the Marque's vehicles. Running costs are also low, with fuel-efficient engines, appropriate servicing frequency, extended service life for wear parts, and robust, washable materials. The Citroën C-Elysée was truly designed to stand up to intensive use.